Golden Flow Yoga is based on Golden Bay, at the top of New Zealand’s South Island. It’s facilitated by Aeven Kelly, an advocate for teaching people, not asana. 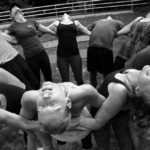 We spoke to three women – Breanna, Rachael and Amy – who made the decision to do their 200Hr Yoga Teacher Training with Golden Flow Yoga last year. Why did you sign up for Golden Flow Yoga Teacher Training? What made this training stand out? Amy: I signed up as a means of learning more about a hobby I had. I wanted to learn more about the philosophy and correct yoga techniques, however I struggled to find the time in everyday life. The course gave me an opportunity to immerse myself. I’ve lived in Golden Bay for a year now, so I knew what a special place it was and that it attracts beautiful people. I had a great feeling about who my fellow trainees would be, and I knew how great the teachers from the area are! 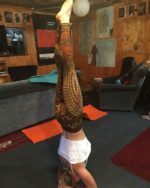 Breanna: I have been attending Aeven’s yoga classes for a few years and have always really respected and admired her as a teacher and a friend. 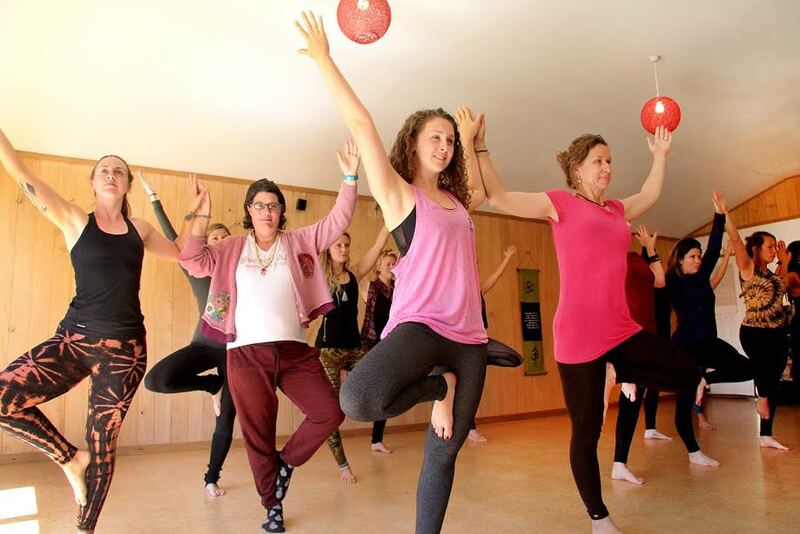 When the chance arose to attend this training I jumped at the opportunity, trusting that her experience and passion for yoga would make this course well worth the time and effort to attend – and I was right. Rachael: I wanted to learn more about yoga and to teach yoga, as well as an income source. I thought the training looked affordable, manageable and fun. Amy: It was really exciting. When I first arrived I was nervous about setting everything up, but once I met all of the other girls I knew I would be in for something special. Breanna: Arriving on site was lovely. 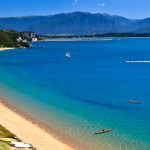 With the warm sunny Golden Bay climate and the peaceful accommodation, arriving felt like stepping into a dream! I felt really welcomed and supported in arriving to the space – meeting my fellow yogis was lovely and a sense of ‘community’ was natural. The opening ceremony initiated a sense of sacredness and acceptance which I felt was an amazing addition to our experience. Rachael: Challenging, a great commitment and a lot of fun. Breanna: The training was entirely amazing in so many ways. I loved living on-site for the two weeks of training, building up a real sense of sisterhood with the other attendees, and feeling the good intention and energy all throughout the course. Each day was something new and different, which kept my mind and attention span fresh and invigorated. Immersing myself in the yogic world was a great. Learning all different styles and modalities of yoga, we were provided with so much stimulation, information and practical training, gaining skill and experience and growing in a holistic sense. Leaning about yoga in a holistic way was excellent – we were supported not just with asana practise but also spiritually, emotionally and mentally, which made for a really well-rounded, balanced and enriching experience. Rachael: It was wonderful, inspiring and great fun too. Amy: Meeting the most down to earth, beautiful people I’ve ever met. Breanna: The laughter, community, and making friends that I can see lasting a lifetime. Also the depth of personal deep inner reflection which took place while on the training. I was prepared for some of this, but I was really surprised by the raw depth of the psychological and emotional shifts which I experienced on the course. It was life-changingly wonderful, and I am deeply grateful for this. The space for such personal reflections and realisations was held really well and I felt safe, nurtured and respected in every moment. Rachael: The different styles of yoga we are learning and embracing. Amy: I felt sad that I had to say goodbye and go back into society after being in a lovely bubble. I didn’t feel ready to teach, however I felt filled with knowledge and bubbling, so I knew that after a bit of practice I could get into the flow of it. Breanna: I felt totally ready for teaching, yeah! I felt like a changed woman at the end of the training: my mind clear, my body detoxed, and my spirit joyous and ready for action!! I have gone straight into teaching since leaving the class. I feel my skills are strong, and will continue to get better with time, experience and nurturing. Rachael: I felt wonderful and inspired. I am now organising a space to teach from, and I’m asking people to join me from next week. This is a fantastic challenge and inspiring too. Finally, what would you say to anyone considering Golden Flow Teacher Training? Amy: Just go for it! You can’t be hesitant. I had my doubts before the course but these all vanished as soon as I got there. It’s an amazing experience, and even if you don’t want to teach you learn so much, and meet incredible people who inspire you and your journey. Breanna: I’d say go for it! If you’ve been drawn to considering this then you should listen to your intuition, trust your gut and take the plunge!! Once you’re there you’ll be so glad you allowed yourself the chance to learn and expand your horizons. Definitely recommend it to anyone! Rachael: Go for it. It is a wonderful opportunity and experience. It is a worthwhile investment too. I’m Amy from Scotland. I have been in New Zealand for a couple of years travelling and working. 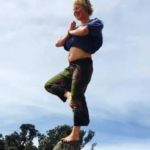 I have recently gotten really interested in yoga and acroyoga, and I’m very excited for what is to come in my path after the Teacher Training course. I love the outdoors, arts and extreme sports and hope to integrate this with my passion for yoga. 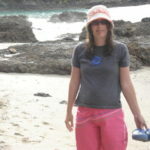 Breanna is an adventurous fun-loving Kiwi girl, who has been practising yoga since her early teen years. She is a traveler at heart with a wayward spirit, a natural inclination to holistic living and a respect and love for all facets of life. She feels honoured to be a part of this journey. I am Rachael Louise Bradford. I am a Reiki Master Teacher now living and working in Christchurch primarily. I can also travel and teach to if people want my services. I have a wonderful partner called Ben and we are planning to move to the countryside to live together in the near future – we are excited about this. I love nature, creativity, people and adventures. I enjoy helping people and caring about people, places and things and I also love challenges to. I am on my personal journey and have commitments, goals and plans and dreams that I manage now. Lucinda excellent interview! Do you think that 200h training is enough to run classes or you would still recommend taking 300h or 500h training additionally?